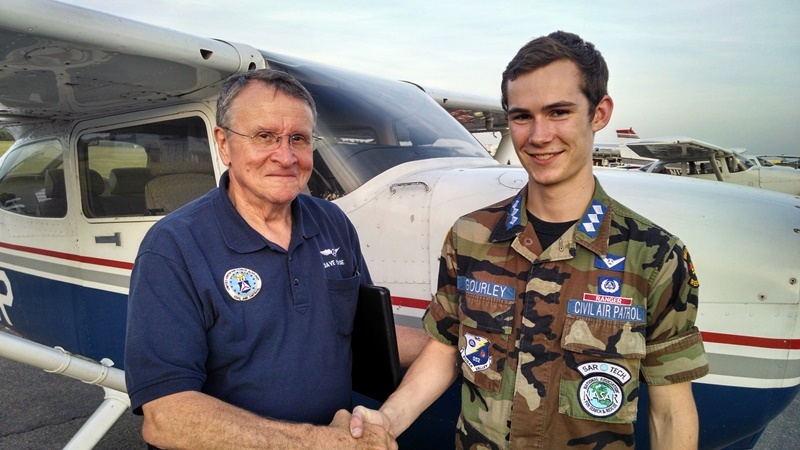 Spaatz recipient C/Col Josiah Gourley (#1899) completed his private pilot check ride on 29 May, earning his wings using funds from a Spaatz Association Aerospace Leadership Scholarship. Maj David Morse and C/Col Josiah Gourley after his 29 May check ride. Cadet Gourley’s flight training was made possible in part by a $2,500 flight scholarship granted by the Association in 2013. Each year the Association awards 4 or more scholarships to deserving CAP cadets who have earned the Mitchell Award and are at least 15 years of age. For more information on the Aerospace Leadership Scholarship program, visit www.spaatz.org.